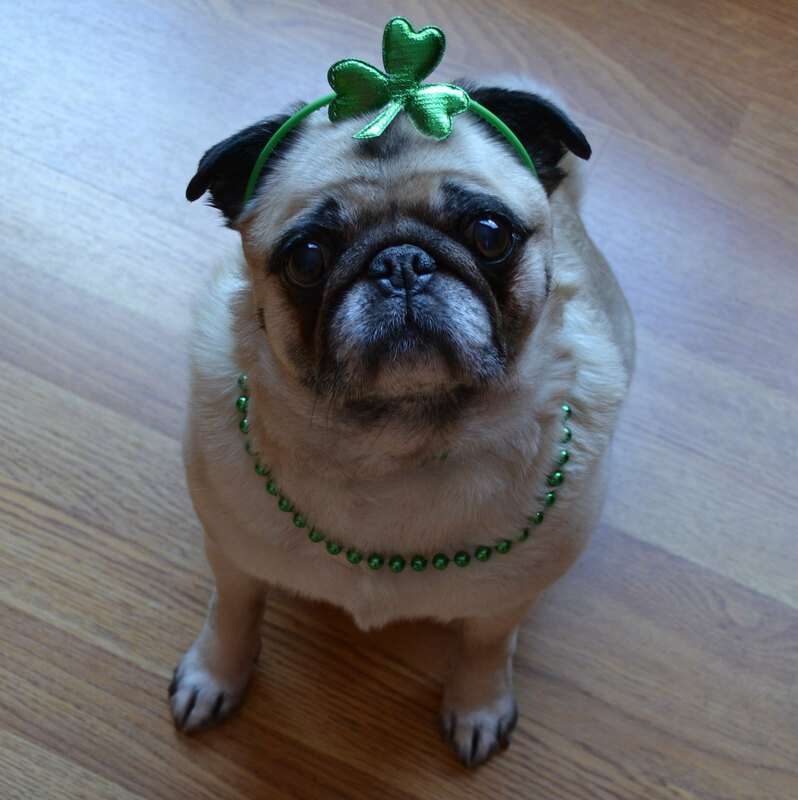 This lucky pug is ready to celebrate St. Patrick’s Day! All it takes is a cute headband and some green beads to dress your pug up for the occasion. Get the green treats and toys ready because the fun is about to begin!